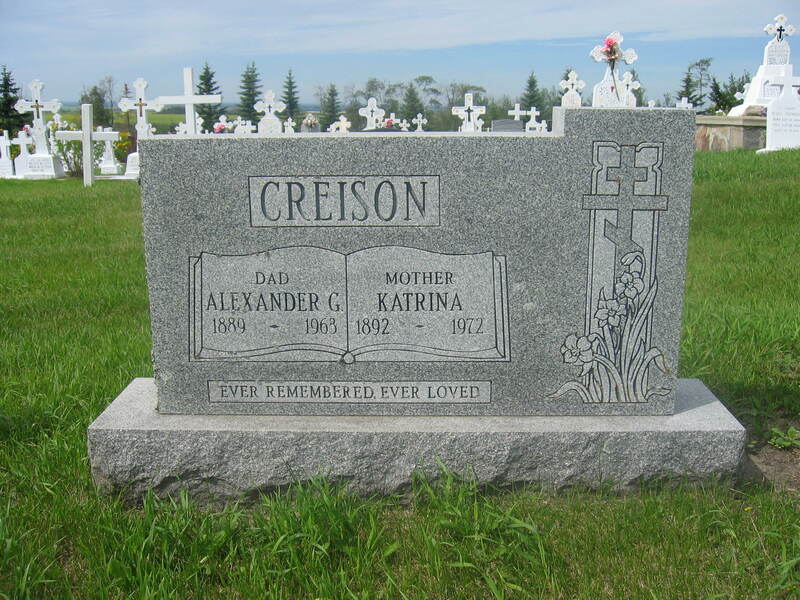 Alex Creison was born in Russia of Finnish parents. At the age of fifteen he left home and began a long trek across Russia. He recalled that at one time during a cold winter night he and his comrades were travelling by sleigh drawn by horses and a pack of famished wolves appeared out of the forest and encircled the sleigh. The wolves were prepared to tear and devour the horses as well as the men. Suddenly the men took off the fur coats and threw them to the wolves. When the starved beasts jumped on the fur coats snarling and fighting among themselves, the driver lashed the frightened horses and away they dashed for their lives into the dark forest, fearful but alive. Eventually Alex found himself on the Russian sea coast. There he got a job as a deckhand and sailed for United States. With him was a young Romanian and the two became best friends. After many weary days they landed at Seattle. Because the Romanian had relatives in Boian, Alberta, the two young men made their way to the Romanian settlement. They arrived at their destination in 1908. Shortly after, Alex left seeking for work to earn some money. When he felt he had enough he returned to Boian and built his own blacksmith shop and a small house on Vasile Romanko’s land. One dark night, fire destroyed both buildings. Alex then bought a five acre parcel from Ion T. Toma just across the road from the Romankos and there built a larger building and a house. In 1922 fire struck again and razed both buildings to the ground. Happily no lives were lost. For the third time Alex built his blacksmith shop, but to be safer, the shop and the much larger house were built a fair distance apart. Here Alex toiled sharpening plough shares for the farmers, shoeing horses in winter, and repairing many of the farm implements. In 1927 before the railroad arrived, Alex dismantied the shop and house and reassembled them in the new village of Willingdon. He was the first blacksmith to open a shop in the village. Here he lived with his wife Katrina and raised a family of eight children: Mary, Elizabeth (Elsie), Pearl (Rally), Sandra, Nicholas, William (deceased in 1969), Alydia and Annette. Alex was a hard working man, slow, efficient and very meticulous. Often his services were unpaid but he was a generous soul and overlooked these. He had had so many hardships in his own life that he was always willing to help others. Being a deeply religious individual he early became a member of the Romanian Orthodox Church at Boian. When the church was completed he constructed and donated the three iron crosses that are fixed on the roof of the church. There they are to this day! Alex passed away in 1963 and Ekatrina followed him in 1972. Both are resting in peace at Boian. My grandfather was a great man-I as a child remember well his 3rd blacksmith shop in willingdon-when I visited the shop in shandro it was like I was taken back to another time.rest in peace grandpa. Nice to see grandma & grandpa resting in peace & at such a lovely place-love you & miss you. Hi Norm my grandfather is nick creison and my mother is Dianne rothwell nick creison’s daughter. I found some more info of the family I was able to find living relatives in Estonia they provided me with a family tree dating back to 1821! the surname creison is actually spelled with a “k” kreison! This is my great grandfather. Sandra, one of his daughters is my grandmother and her daughter Donna is my mother. Neat to see the other side of my family, as I am also half British and have dual citizenship in the UK. One of these days I plan to take a trip out there. 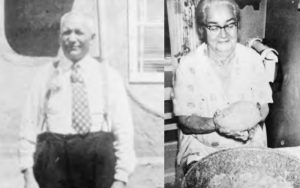 I came across this post and realize you are also connected to my wifes family roots also. 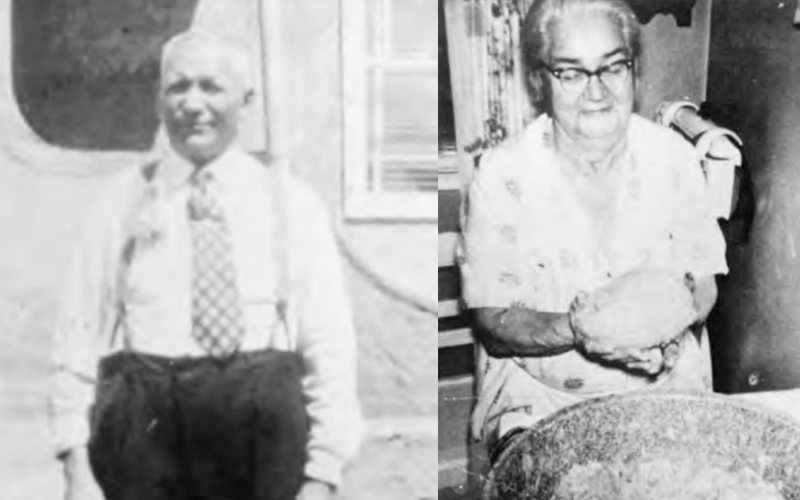 Your Grandfather Norman was son of Stella Ferus, My wifes great Aunt. My wife (Debbie Fontaine) has been working on her family tree for several years and her grandmother Amanda Ferus is Stellas sister thus the connection. If you wish to contact her please let me know and I’ll forward your info onto her. All very interesting to learn about my family history, my dad loved hearing this as well.